We have had a very busy time since the last update. 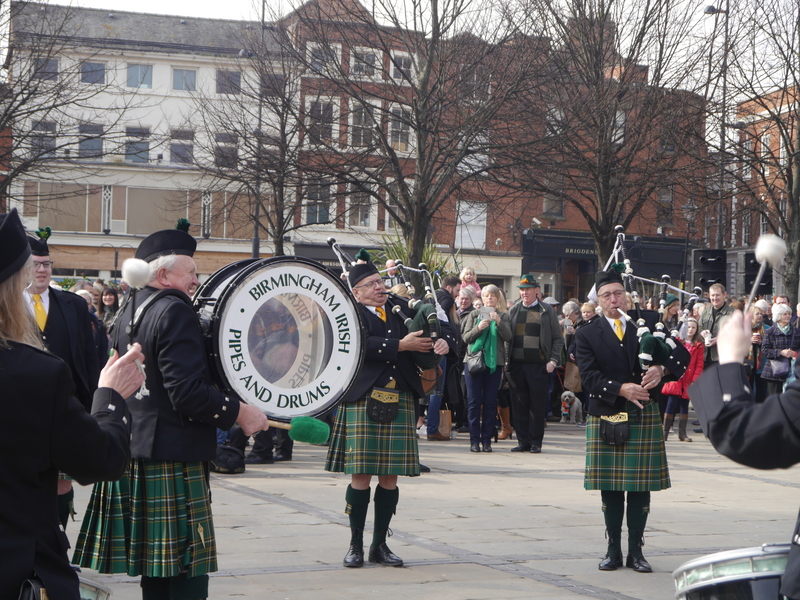 We played in the Derby St Patrick’s Day Parade on Saturday 12th March and had a great day. 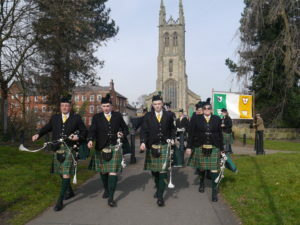 It was a great parade as usual and we really enjoyed marching through the central streets of Derby. 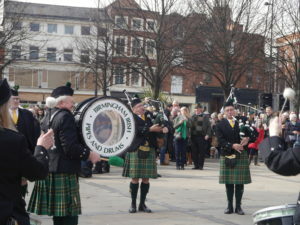 Sunday the 13th March was the Birmingham St Patrick’s Day Parade. 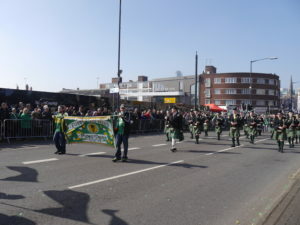 We have the privilege of leading the parade around the streets of Digbeth. This year we marched and played arounder the streets in front of a crowd estimated to number 65,000. 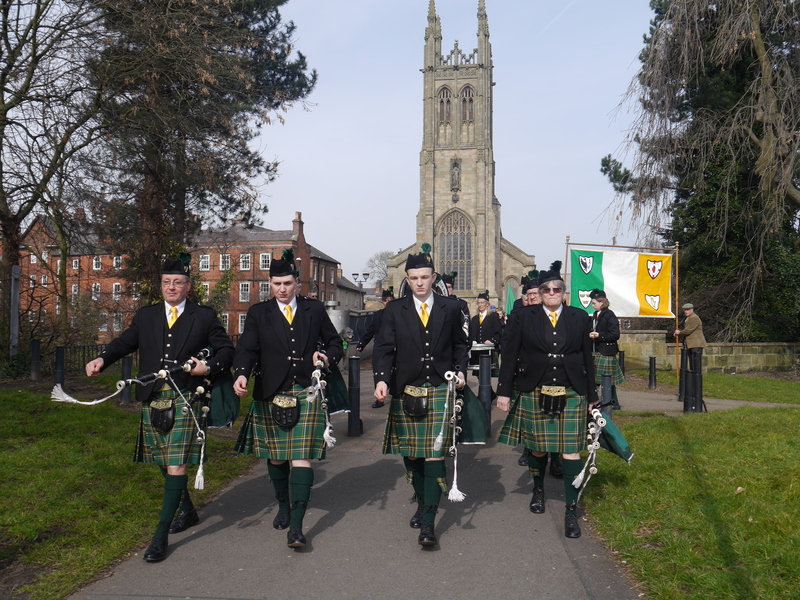 It all went really well and all the practice and effort the band put into the tunes and marching certainly paid off with a great sound and good ranks all the way round. Playing outside Derby Council House. 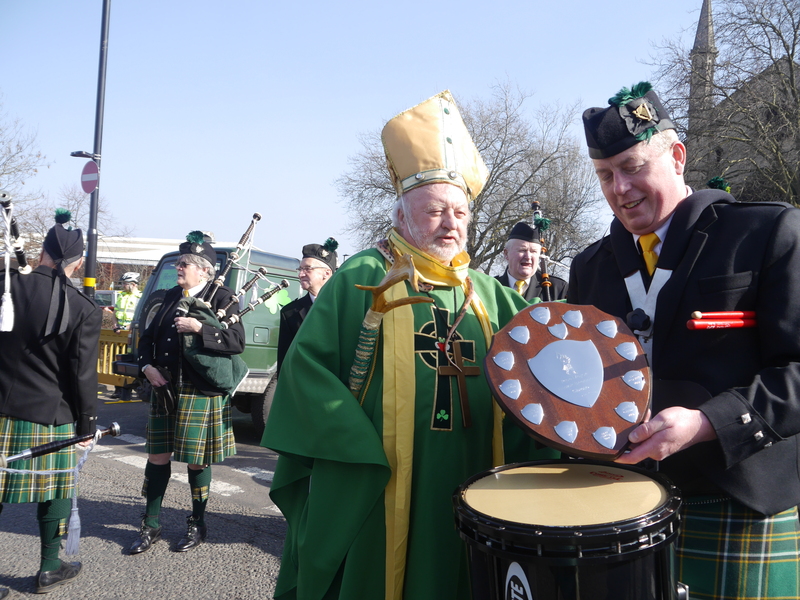 At the start of the parade St Patrick was asked to present ‘Leading Tip’ Ian Grant with the Pipe Major Frank Brennan Shield. 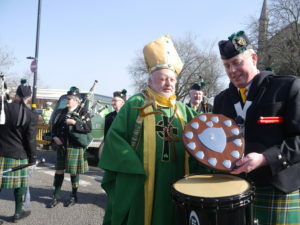 This is a beautiful shield that is presented annually to a member of the band that has really helped to move things on or helped the band in a special way. Ian took over running the drum corps id September 2015 and has made a big impact on how the drum corps practice and sound.